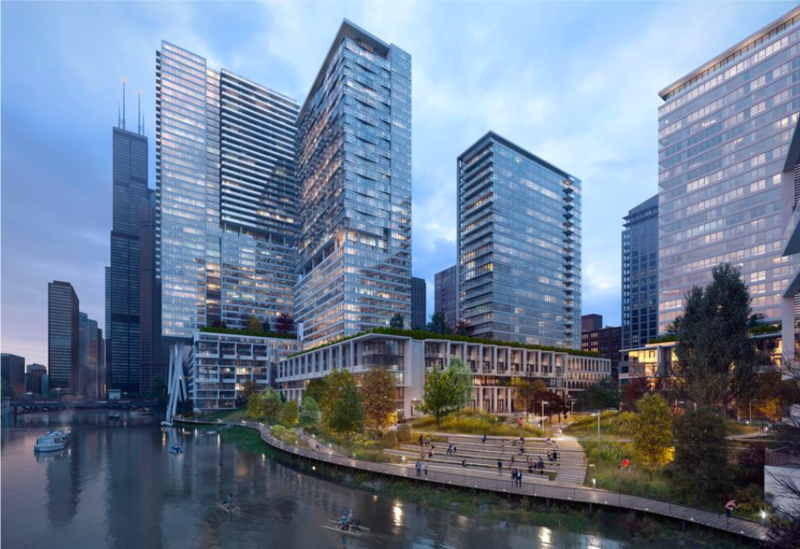 Riverline, one of the most highly anticipated developments in the South Loop, will consist of 8 riverfront properties, 3,600 residences, retail space and 3.5 acres of open, public green space. 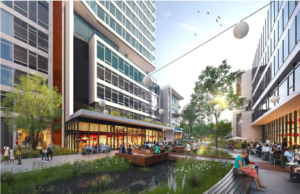 Development partners, CMK companies and Lendlease, broke ground on the 14 acre site in fall of 2016. The first tower, known as Ancora, has begun construction. 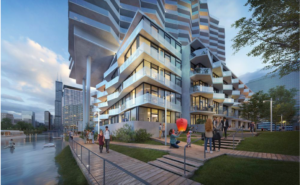 As the stunning centerpiece to the sprawling redeveloped site, Ancora will house 452 dwellings, a spacious amenity deck and a 230-car parking garage. The next building, Current, will go up shortly after. 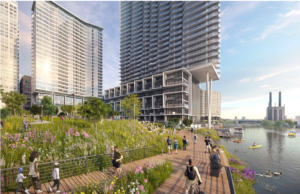 Riverline is the South Loop’s “new neighborhood” and strives to be a comprehensive community for residents to live, work, dine, and shop. Ancora has a walk score of 95 and a bike score of 100, making it a rider’s paradise. This new neighborhood is as exciting as it is beautiful. Some of the outstanding amenities include an abundance of shared spaces such as a state-of-the-art fitness center, reading room, game room and a sports stimulator. Perfect for beautiful Chicago days, Riverline introduces numerous outdoor activities right in your backyard. 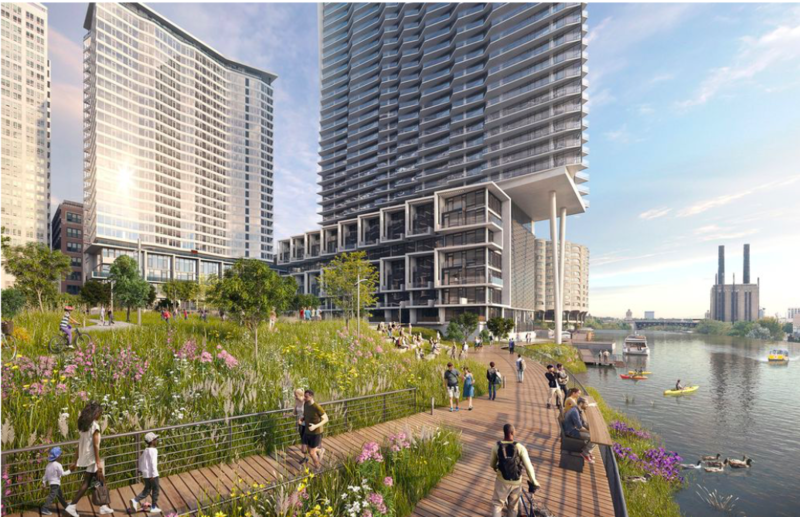 Riverline features a rooftop amenity deck, a half-mile of continuous river walks and plenty of green space. All units are pet friendly, perfect for any dog owners looking to enjoy the South Loop’s many dog parks. 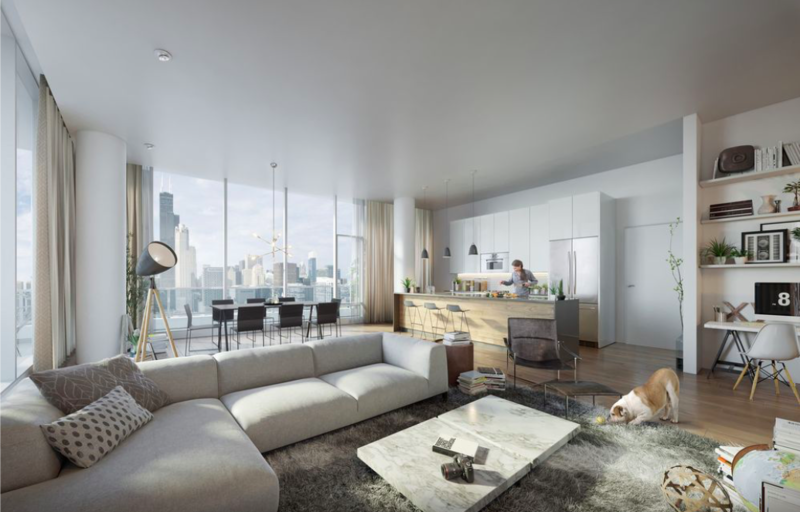 Inside, residents can enjoy seamless floor to ceiling windows, modern finishes, hardwood throughout, open floorplans, and sleek stainless steel appliances. With sweeping views of the sparkling city skyline, the full essence of downtown living is brought to life in these apartments. 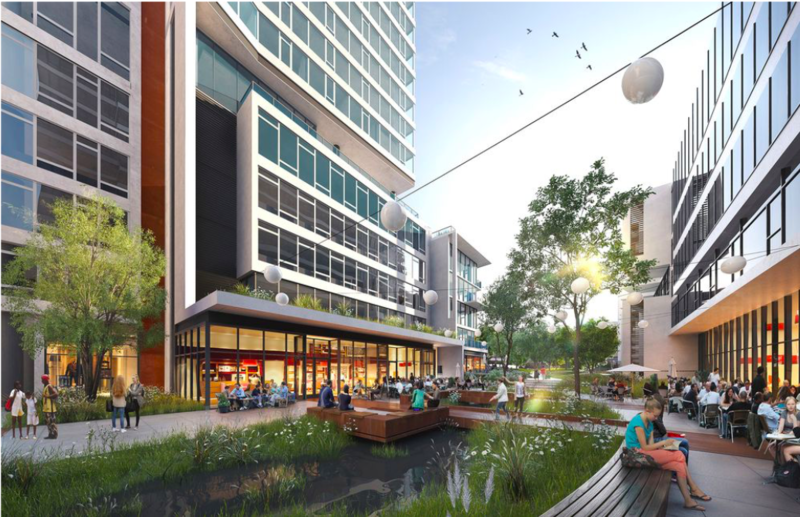 The South Loop neighborhood, home to Riverline, features outstanding shopping, food, parks and activities. Home to Chicago’s museum campus, residents and guests alike have easy access to all weather activities. If you’re a Chicago Bears fan, make sure to check out the local Soldier Field!